From the Cumberland Gap to the Atlantic Ocean, this is Virginia Water Radio for the week of February 16, 2015. With a major snowstorm entering the Commonwealth on February 16, we repeat our December 1, 2014, episode on winter preparedness and safety. 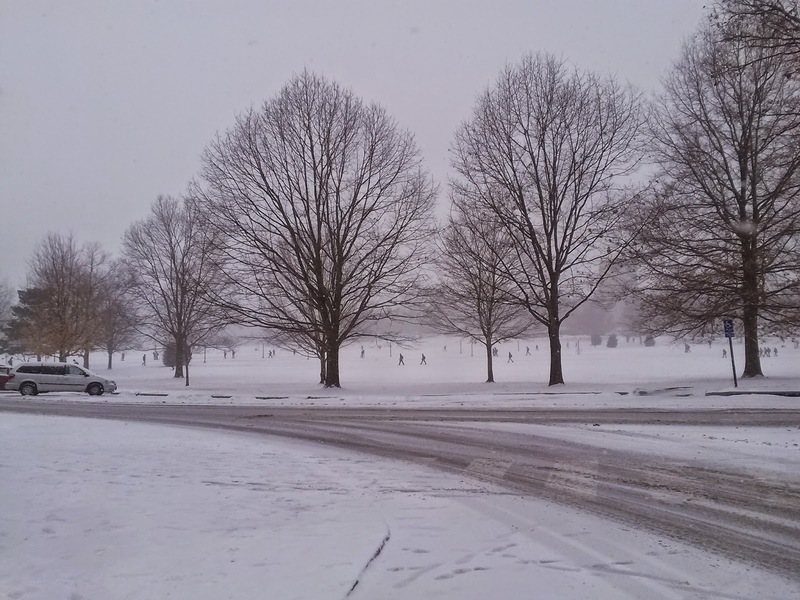 This week, a song by a Blacksburg, Va., musician helps remind us that winter’s challenges are inevitably approaching. Have a listen for about 25 seconds. You’ve been listening to part of “Cold World,” by Kat Mills, on the 2003 CD “Long Time,” from Sweetcut Music. The song describes a cold time emotionally, and it’s hard to know when that’s coming. But there’s no question that by early December in Virginia, cold weather’s coming, so November 30 to December 6 is Virginia’s Winter Preparedness Week. Here are some tips from the Virginia Department of Emergency Management for staying safe from winter’s hazardous roads, low temperatures, power outages, and fire hazards. *Try to get to travel destinations before the weather gets bad. You can get road conditions by phoning 511. *Have a battery-powered or hand-cranked radio, especially one with a NOAA Weather Radio band. *Install a smoke detector in every bedroom and on every floor level, and check the batteries regularly. *If you use space heaters, plug them into wall outlets, not into extension cords; keep heaters at least three feet from other objects; and don’t leave heaters unattended. More information on preparing for severe weather and other emergencies is available online at ReadyVirginia.gov. Under a winter-storm warning: Virginia Tech campus around noon on February 16, 2015, during the early part of a major Virginia snowstorm. 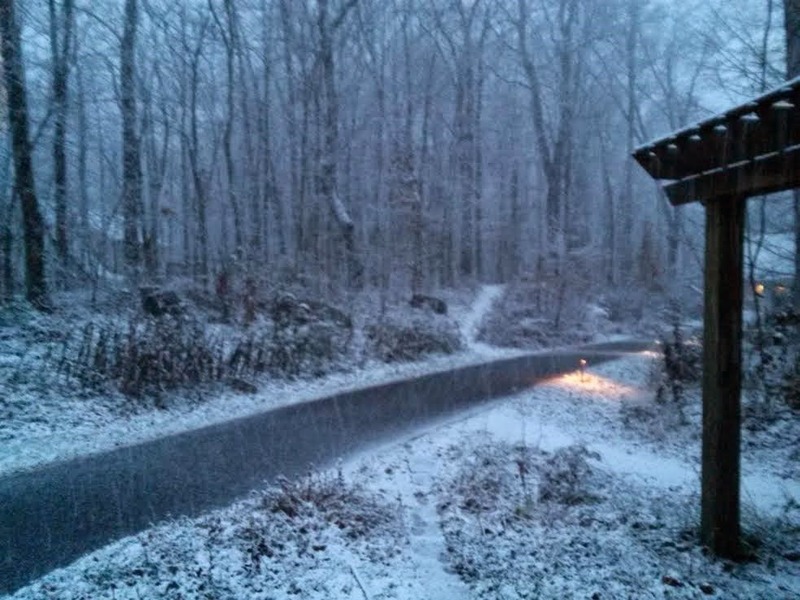 The makings of a white Thanksgiving and an early-season winter weather advisory: snow falling in Blacksburg, Va., in the early morning of November 26, 2014. This episode repeats Episode 242 (12-1-14). “Cold World” and “Long Time” are copyright by Kat Mills and Sweetcut Music, used with permission. More information about Kat Mills is available online at http://www.sweetcut.com/kat/ and at https://www.facebook.com/katmillsmusic. Virginia Department of Emergency Management (VDEM), “Winter Preparedness Week,” online at http://www.vaemergency.gov/readyvirginia/winter/winter-preparedness-week. The VDEM’’s “Ready Virginia” program, online at http://www.vaemergency.gov/ReadyVirginia, is the Commonwealth’s central source of information on preparedness for all types of emergencies and disasters. Virginia Department of Transportation information on traffic and road conditions, online at www.511Virginia.org. American Red Cross, “Winter Storm Preparedness, at http://www.redcross.org/prepare/disaster/winter-storm; or contact your local Red Cross chapter. Federal Emergency Management Agency, “Winter Storms and Extreme Cold,” online at http://www.ready.gov/winter-weather. NOAA (National Oceanic and Atmospheric Administration) “Weather Radio All Hazards” network, online at http://www.nws.noaa.gov/nwr/. Virginia Water Central News Grouper posts on weather are available online at http://vawatercentralnewsgrouper.wordpress.com/category/weather/. The posts—mostly about Virginia, but in some cases about other areas—cover primarily severe-weather events, precipitation and drought, and tropical storms during the June-November Atlantic tropical storm season. This episode may help with Science Standards of Learning (SOLs) for Interrelationships in Earth/Space Systems Earth Resources in grade 4, for Matter in grade 6, and in Earth Science (particularly ES.13). The suggestions below are from Va. Gov. Terry McAuliffe’s Nov. 25, 2014, news release, “Governor McAuliffe urges Virginians to get ready for winter weather; November 30-December 6 is Winter Preparedness Week in Virginia,” 11/25/14). *A power pack for recharging cell phones and other mobile devices. *Get an emergency plan worksheet at www.ReadyVirginia.gov or on the new Ready Virginia app (see below). Stay informed before, during, and after a winter storm. *Get road condition information 24/7 by calling 511 or checking www.511Virginia.org. Download the Ready Virginia app. *Links to register for local emergency alerts. *If your household includes someone with special needs (has a disability, requires electricity to operate home medical equipment, needs to go to dialysis, etc. ), call your local emergency manager to let them know where you live and what you will need during an emergency. *Keep an emergency kit in your car.